We provide recognized ISO 22000 Certification Services in most competitive fee. ISO 22000:2005 specifies requirements for a food safety management system. In this, an organization in the food chain needs to demonstrate its ability to control food safety hazards to ensure that food is safe at the time of human consumption and it can be accomplished through the use of internal and/or external resources. It enable an organization to plan, implement, operate, maintain and update a food safety management system aimed at providing products that, according to their intended use, are safe for the consumer. Also, to evaluate and assess customer requirements, we demonstrate conformity with those mutually agreed customer requirements that relate to food safety, in order to enhance customer satisfaction. Further, it is also useful to effectively communicate food safety issues to their suppliers, customers and relevant interested parties in the food chain and to ensure that the organization conforms to its stated food safety policy. We offer ISO 22000 certification services in Delhi, India. We are ISO 22000 certification bodies, which provide services in different part of India. We are the ISO 22000 Certificate Providers from Delhi, Mumbai, Kolkata & Chennai. We are involved in presenting an exclusive range of ISO 22000:2005 Certification Services. ISO 22000 certificate ensures that food related products are manufactured and supplied in a way that it will not lose purity and freshness and healthy of any human being or animal. Apart from this, these services are available at very reasonable prices with us. ISO 22000:2005 is food safety management system. ISO 22000 certificate ensures that food or food related products are manufactured / supplied in a way that it will not harm health of any human being or animal. In many countries ISO 22000 certificate has become statutory requirement & if any company will to export food product in that country ISO 22000 certification is mandatory. CDG Certification Ltd is most preffered ISO 22000 certification body / Registrar of India. We have certified big food gaints of India. Our ISO 22000 certification service is recognized worldwide. 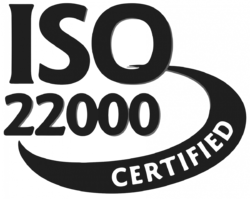 Our organization is offering an astonishing range of Best ISO 22000 Certification Company. 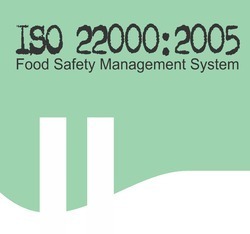 ISO 22000:2005 is a food safety management for any company involved in the food chain. This food safety is in terms of food-borne hazards in food at the point of consumption. It can occur at any stage of the food chain and adequate control throughout the food chain is essential. Backed by the profound experience of the industry, we are offering remarkable ISO 22000 Certification Services. ISO 22000:2005 is a food safety management for organizations involved in food chain and this standard was prepared by technical committee ISO/TC 34, Food products. This food safety is related to the presence of food-borne hazards in food at the point of consumption. It can occur at any stage of the food chain, adequate control throughout the food chain is essential. Increasing consumer demand for safe food has led many companies to develop both food quality and safety management systems, based on the Hazard Analysis and Critical Control Point (HACCP). 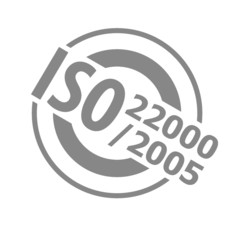 In 2001, ISO started the development on an auditable standard, which further defines HACCP’s role in food safety management systems and culminated in the newly formed ISO 22000. The ISO 22000 standard intends to define the food safety management requirements for companies that need to meet and exceed food safety regulations all over the world. One standard that encompasses all the consumer and market needs. It speeds and simplifies processes without compromising other quality or safety management systems. Create a structure that’s aligned with ISO 9001:2000. Our Company is the well-known name in the industry we are engaged in offering the best quality ISO 22000 Certification Services (FSMS). ISO 22000:2005 is a global concern and impacts both consumers and businesses in the food industry. Apart from this, clients can buy these certification services from us at the pocket-friendly price within the promised frame of time. ISO 22000:2005 is a global concern and impacts both consumers and businesses in the food industry. CDG Certification is the one of the biggest services provider of iso 22000:2005 in india. 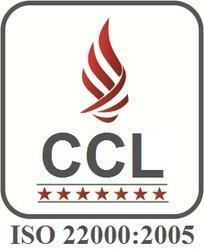 CDG Certification aims at providing iso 22000:2005 to India food supplier's in a competitive and best price with trust. ISO 22000:2005 standard gives organization an opportunity to increase safe, several recent high profile cases underline the potential danger of food-borne illnesses to consumers. ISO 22000:2005 specifies requirements for a food safety management system where an organization in the food chain needs to demonstrate its ability to control food safety hazards in order to ensure that food is safe at the time of human consumption. It is applicable to all organizations, regardless of size, which are involved in any aspect of the food chain and want to implement systems that consistently provide safe products. Fresh – Empowering Indian Food and Agriculture ISO 22000 is designed to allow all types or organizations within the food chain to implement a food safety management system. Banking on the honorable management of talented and well-qualified professionals, we are highly immersed in offering an exceptional assortment of ISO 22000 Food Safety Certification to our customers. The ISO 22000 standard is the first international standard for implementation of a certified food safety management system. It covers system management, interactive communication, and hazard control. The ISO 22000 standard is the first international standard for implementation of a certified food safety management system. It covers Interactive communication, System Management and Hazard control. ISO 22000 is one of the highest marks of safety. It isn’t easy to get this mark. One needs to be able to showcase that they can handle obstacles that shall cause the food to spoil and manufacture it in such way that it is absolutely safe for consuming. Unless, this is proved, a firm cannot get the ISO 22000 mark. ISO 22000 is the internationally recognised standard for the food safety management system of businesses. It applies to the processes that create and control the products and services an organisation supplies. It prescribes systematic control of activities to ensure that the needs and expectations of customers are met. It is designed and intended to apply to virtually any product or service, made by any process anywhere in the world. ISO 22000:2005 contains the overall guidelines for food safety management. Our team of professionals is highly proficient in providing the consultation, training, gap analysis and implementation of ISO 22000 standard. We also possess great expertise in conducting hazard analysis programs along with the development of effective food safety management systems whilst incorporating them seamlessly into the overall management activities of your organization. We can also integrate your ISO 22000 implementation program with ISO 9001 to enhance the effectiveness of your organization. ISO 22000is a risk based management tool for the food industry in order to assure food safety at human consumption. ISO 22000 Standard has been developed by experts from food industry, specialized Organizations and in cooperation with Codex Commission, UN (FAO) and WHO. Backed with years of industry experience, we have been able to offer the finest collection of ISO 22000:2005 FSMS Certification Services. ISO 22000:2005 is a generic food safety management system standard. Also, it defines a set of general food safety requirements that apply to all organizations in the food chain. Increasing consumer demand for safe food has led many companies to develop both food quality and safety management systems and based on the Hazard Analysis and Critical Control Point (HACCP). ISO 22000 Standard is a Food safety management system specifies the requirements for an organization in food chain to demonstrate its ability to control food safety hazards in order to ensure that food is safe at the time of human consumption. The ISO 22000 standard that combines the key elements - interactive communication. ISO 22000:2005 is a generic food safety management system standard. It defines a set of general food safety requirements that apply to all organizations in the food chain. Increasing consumer demand for safe food has led many companies to develop both food quality and safety management systems, based on the Hazard Analysis and Critical Control Point (HACCP). In 2001, ISO started the development on an auditable standard. ISO 22000 creates a harmonized safety standard that’s accepted the world over. By integrating multiple principals, methodologies and applications, ISO 22000 is easier to understand, apply and recognize. Food safety is a global concern and public health is a sensitive subject having far-flung impact on trade and business. Traditionally, industry and regulators have depended on spot-checks of manufacturing conditions and random sampling of final products to ensure safe food. ISO 22000 is HACCP based preventive food safety management system. 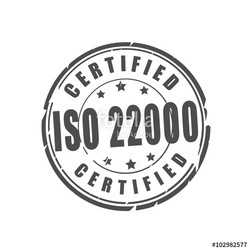 The ISO 22000:2005 standard is generic, i.e. applicable to both food manufacturing as well as food related industry like packaging, storage and distribution channel in public and private sectors. ISO 22000 Certification for Food Safety Management System is a process control system designed to improve quality of the food organization with identify, evaluate and control the food safety hazards like physical, chemical, microbiological and other hazards in food production as well as entire food chain. ISO 22000 is an international standard that defines the requirements of a food safety management system covering all organizations in the food chain from “farm to fork”. ISO 22000 Standard is a Food safety management system specifies the requirements for an organization in food chain to demonstrate its ability to control food safety hazards in order to ensure that food is safe at the time of human consumption. The ISO 22000 standard that combines the key elements - interactive communication. This International Standard ISO 22000/HACCP (Hazard Analysis and Critical Control Point) specifies requirements for a food safety management system where an organization in the food chain needs to demonstrate its ability to control food safety hazards in order to ensure that food is safe at the time of human consumption. ISO 22000 is one of the highest marks of safety. It isn’t easy to get this mark. One needs to be able to showcase that they can handle obstacles that shall cause the food to spoil and manufacture it in such way that it is absolutely safe for consuming. Unless, this is proved, a firm cannot get the ISO 22000 mark. ISO 22000:2005 is a leading food safety certification company of India. Contact us today for ISO 22000 certification in India. Food safety is a worldwide issue. It becomes important when there is a peer pressure from consumers, retailers, social groups, and legislative bodies affecting the whole food supply chain. This standard deals the requirements for any organizations in the food chain to meet the compatible food safety management process. Also, include hazard analysis and critical control points (HACCP), improved communication with suppliers, customers and consumers for continual improvement and updating of the management system. Across the supply chain and more effective management systems. ISO 22000:2005 specifies requirements for a food safety management system where an organization in the food chain needs to demonstrate its ability to control food safety hazards in order to ensure that food is safe at the time of human consumption. ISO 22000 is an international standard and defines the requirements of a food safety management system covering all organizations in the food chain. ISO 22000 has been developed to aid harmonization of approaches to managing food safety, not for just one part of the food chain, but for all organizations in the food chain and for those organizations supplying to the food chain. The ISO 22000 international standard specifies the requirements for a food safety management system. Communication along the food chain is essential to ensure that all relevant food safety hazards are identified and adequately controlled at each step within the food chain. This implies communication between organizations both upstream and downstream in the food chain. ISO 22000 is a truly international standard suitable for any business in the entire food chain, including inter-related organizations such as producers of equipment, packaging material, cleaning agents, additives and ingredients. ISO 22000 family of standards relate to food safety management systems and are designed to help organizations of any size and at any stage in the food chain to ensure they meet the needs of customers and other stakeholders. ISO 22000 Standard is a Food Safety Management System. The main objective requirements of this FSMS standard is prevention of contamination of Food safety hazards in food, so that food shall be safe at the time of consumption. This Food safety management system requirement is applicable to any organization food supply chain. ISO 22000 Standard is a Food safety management system specifies the requirements for an organization in food chain to demonstrate its ability to control food safety hazards in order to ensure that food is safe at the time of human consumption. ISO 22000 provides a tool for implementing HACCP along the entire food supply chain, since the standard can be applied to each link. It also allows for the possibility of harmonising food safety standards internationally. ISO 22000 is simple to integrate into a company’s existing quality and environmental management systems. ISO 22000 is a standard which supports you in managing food safety. Contact CDG certification limited for ISO 22000 certification services. In order to carve the higher position in the industry, we offer a wide range of ISO 22000 Certification. This is a leading certification for the food safety management system. We hire only highly trained professionals to provide the services. In addition to this, these certification services are admired for its low cost and timely execution. 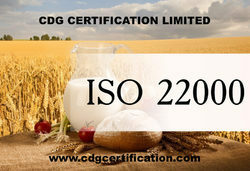 CDG provides ISO 22000 certification in Delhi, Mumbai, Kolkata, Bangalore India. CDG is a leading certification body for Food Safety Management System. As per the precise requirements of the customers, we are presenting the best quality array of ISO 22000 : 2005 Certification for Food Industry to our prestigious clients. Our service is rendered by our talented professionals as per the industry quality standards. This service is available with us in the wide range of options at most reasonable rates. ISO 22000 : 2005 Certification For Food Industry. CDG is a leading food safety certification company of India. We provide ISO 22000:2005 certification in Delhi, Mumbai, Kolkata, Bangalore & other parts of India. The 2018 version of ISO 22000 was published on June 19 2018. With this release, ISO 22000:2005 will be withdrawn. Companies certified to the ISO 22000:2005 standard have to transition their certificate to ISO 22000:2018, and the transition deadline is expected to be three years after release date. ISO 22000 was first introduced in 2005 with a standardised framework for any size of organisation to adopt with the objective of allowing organisations to identify and control possible foodborne hazards. Such standard also allow organisation to continually seek for improvement in its processes. Globalisation of the food chain has resulted in new food safety risks and hazards, and different regulatory requirements to that of the food’s country of origin. This necessitated the International Organization for Standardization’s revision and modification of ISO 22000 so as to bring it up to date with today’s food safety requirements.